Two portraits showing William "Bill" Preston Graves who was first served in public office as Secretary of State of Kansas from 1987 to 1995. 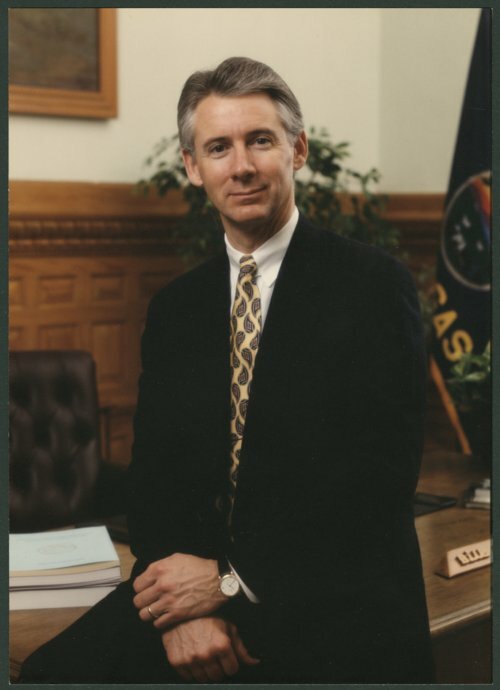 In 1994, he was elected the forty third Governor of Kansas and became one of the youngest Governors in Kansas history at the age of forty-one. Graves easily won re-election in 1998 by one of the largest margins of victory in a Kansas gubernatorial race. During his tenure, the largest tax cut in state history was passed into law and many state services were streamlined or privatized.